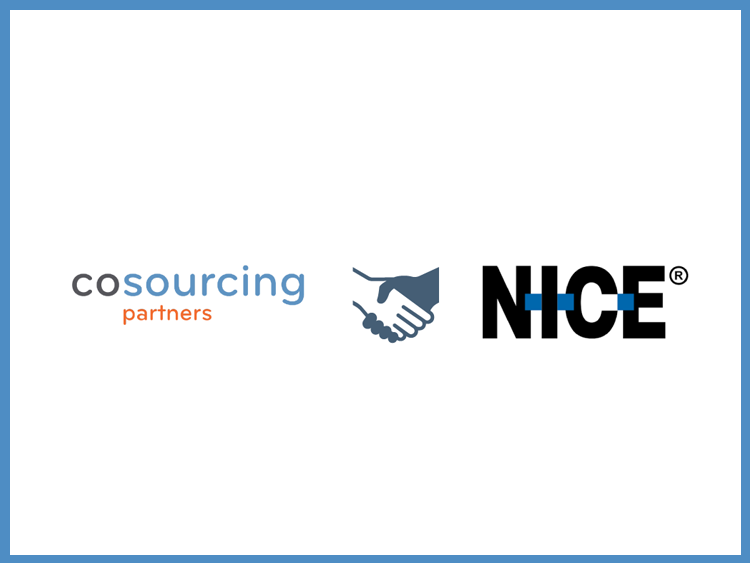 April 8, 2019, Chicago – CoSourcing Partners, a national Robotic Process Automation and IT services company, today announced that it has partnered with NICE, a worldwide leader in implementing Advanced Process Automation Solutions, to provide Professional Services for NICE customers. This partnership will accelerate NICE’s customer’s automation journey by offering strategic opportunity assessment beginning with virtual training which then moves to a 5-day Operation Assessment. CoSourcing Partners will assess current systems, map a plan with optimized processes (including business cases, opportunity prioritization and development roadmap), and put in place a system to measure the success of the programs and supply advanced Developers, Analysts, and Architects certified in NICE’s software. Recent research indicates that over 70% of enterprises have either already made investments into RPA technology, or are planning to over the next two years. This partnership between CoSourcing Partners and NICE will help NICE customers navigate today’s highly competitive landscape by expediting the development of automating core operational processes, allowing for employees to focus on the strategic and customer-facing responsibilities of their job. For more information about CoSourcing Partners, please visit cosourcingpartners.com. More information on NICE can be found here. CoSourcing Partners™ is a Chicago-based Robotic Process Automation and IT Services Company. Our portfolio of professional RPA solutions and IT services enables our partners to maximize their investments and capacity in the achievement of business goals and the realization of rapid returns. We are a dedicated team of professionals who value long-term relationships and take pride in achieving customer satisfaction. The company has quickly developed a track record of highly successful automation and IT projects by delivering top talent and employing RPA proprietary tools to build and maintain workforce performance.